The Trek Collective: Star Trek Spork! Finally a weird Star Trek branded thing that's charming and not icky tat! 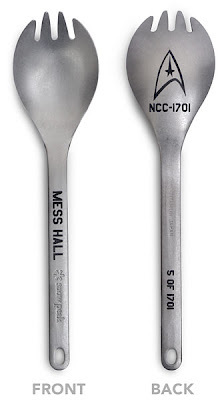 Unfortunately Think Geek’s exclusive run of 1701 Star Trek sporks has already sold out (but another Star Trek spork is on the way!). Groovy.